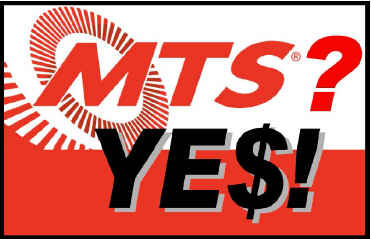 Our transit service- the Metropolitan Transit System (MTS) – is on the brink of bankruptcy! Bus service will be reduced and/or eliminated on some existing routes. This is a done deal. Transit advocates were successful, however, in temporarily halting the approval of fare increases which MTS has presented as the only remedy to this fiscal emergency. We have one last chance to voice our support for more transit funding and more transit planning. Raising fares right now is a REVERSE stimulus for those who can afford it the least right now. It takes money directly out of the pockets of those least able to pay. We should be talking about fare reductions as a form of stimulus at a time like this. Raising fares while shoveling more funding at highway projects amounts to taxing the poorest residents of this region to pay for our highways. Here’s an article from today’s U-T on this issue. On Friday, April 10, the San Diego Association of Governments will hold a public workshop on the issue of allocating additional funds for transit purposes. The workshop is at 10 am, at the downtown SANDAG office at 401 B Street, 7th floor. We need transit riders and supporters to show up and ask the Board to support moving available discretionary funds into our transit system. Please provide your written comments to the Board by e-mailing Kim Kawada at kka@sandag.org. The public transit system should be free of charge for passengers. Our taxes should be paying for it and for expanding the system, NOT building more roads and more pollution and more urban sprawl and congestion. MTS, like every transit agency in the state, is going to have to make service reductions and/or increase fares, because Gov. Schwarzenegger and the State Legislature eliminated the State Transit Assistance account payments. Most agencies depend on the STA to subsidize service; in some areas that constitutes as much as 25% of their operating budget. Attending the workshop is a good idea, because agencies will be looking for input from the public as they try to work their way out of the mess Sacramento has created. But don’t get demanding and forceful, or you will find your comments are not given the credibility they deserve. State your case, but be polite and respect the authority of SANDAG. Get real please. Tax the rich.